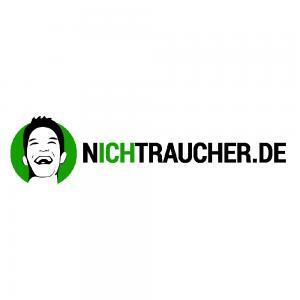 The campaign on Companisto has provided nichtraucher.de with valuable new contacts in addition to successful financing. Almost every day, we are able to talk to highly interesting people and receive great suggestions for the new nichtraucher.de website. For instance, we are currently in intense negotiations on a far-reaching cooperation, about which we will of course inform you immediately once the negotiations have been completed successfully. The nichtraucher.de IT department is growing. Because of the investment of the Companists, our IT specialist Eric will soon be supported by a very experienced Symfony2 developer, who will start work in the next few days. Thus, we are able to accelerate product development and launch the new nichtraucher.de very soon. We will introduce our new team member to you in our next update. By the way: We are still looking for talented front-end developers. In this regard, we are grateful for every hint and contact. For further information, please see http://www.covus.de/careers/. There has also been some progress in product development. In addition to the new design and the features already described, it will be possible to communicate via real-time video on nichtraucher.de in the future. This is an exciting new feature that will create several new opportunities for our users and in particular for the companies active on nichtraucher.de. At this point, we would like to thank the Companists a lot for their trust. We will work very hard on making the new nichtraucher.de website a big success for everyone involved.